Ocala, Florida — A family’s pet pig is dead after a man sliced its throat with a pocket knife. Marion County Animals Services released a more than 20-page document, which included graphic photos, which detailed the slaying of the pig. According to reports, when the family found the pig several months ago, it was in poor health, missing its ears, and near death. The family stated that they had spent countless hours nursing the pig back to health. They told authorities that the pig had since become part of the family. Authorities said that Jason D. Crosby, 28, arrived at the property where the pig was located and made statements that the “pig needed to put out of its misery.” The pig was asleep on the front porch of the residence. Moments later, the woman went inside the house to tend to her granddaughter. The woman stated that when she exited the house a short time later, she saw that the pig was gone. She said it had been dragged to the street and had its throat cut. The woman started yelling at Crosby, who was still standing in the yard, and he left the residence. A witness told authorities that they saw Crosby hold the pig down, but did not know that Crosby was cutting its throat. Investigators said that Crosby was heavily intoxicated at the time of the incident. Crosby was arrested and charged with Animal Cruelty-Cruel and Unusual Punishment and Pain and Suffering. He was released from jail on a $5,000 bond. Veterinarian Dr. Jason Alpert stated that the laceration across the pig’s throat was more than two inches deep. 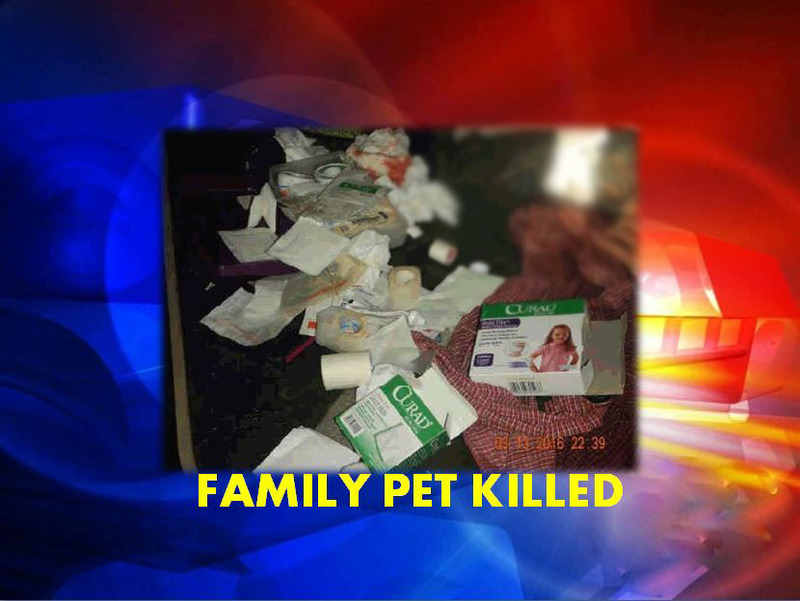 He said the wound was too severe to save the family pet.